My dream is to be a writer and speaker. There I said it. It's out there. I can't take it back, you all know now. I have always wanted to write. I've written my entire life. I just never thought I could have it as a job. It never occurred to me. I guess I thought a job was something you had to get up and go to everyday. You have to apply and interview for it for jobs. In college, I had a double major of counseling and public speaking. I know, it's a weird combo but I knew I wanted to help people and speak to large groups. I'm thankful that I had went to a small university where weird combos are possible. Speaking has been a part of every job I've had whether it's speaking in front of new students, my own students, parents or other teachers. I always enjoy it. About 3 years ago, God really put these dreams on my heart. It's as if they were there all the time but God started really pressing me on them. The problem was, and is, I didn't know how to go about achieving these dreams. I still don't, really. When I wanted to become a teacher, I took classes, got certified and applied for jobs. What I did know to do was to be obedient. I started to pray for opportunities and committed to be obedient in whatever God told me to do. Almost a year ago, I committed, in obedience, to writing 3 times a week on this blog. So far, I haven't missed a post. 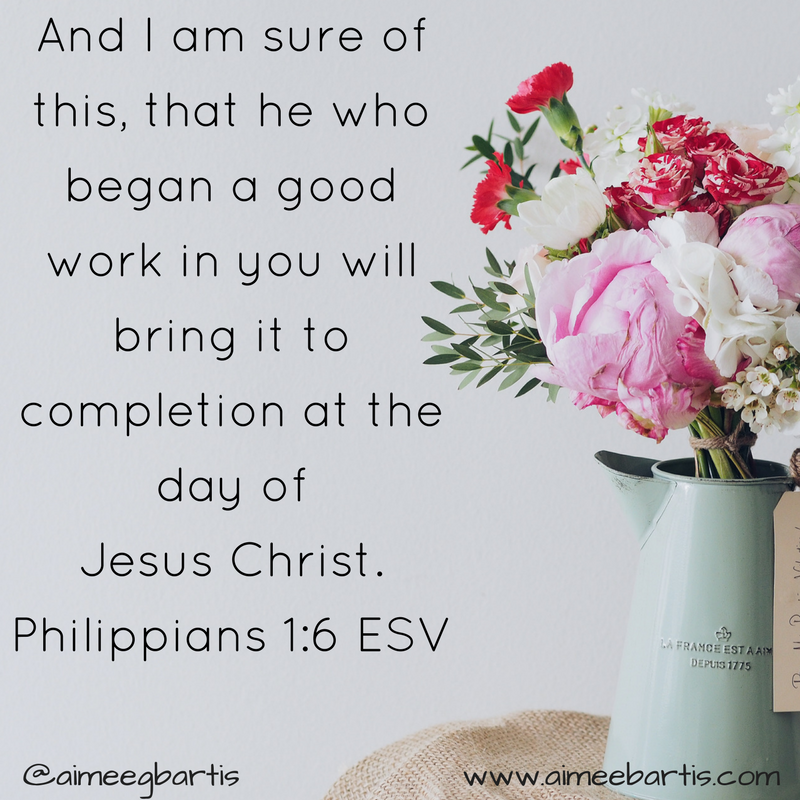 I wrote a couple of weeks ago about writing my first Bible study. Again, obedience. The idea came up, I prayed and did what God was asking me to do. My struggle is in the day to day. I have a great job. I enjoy serving the teachers and students at my school. But I have this dream in my heart that I don't know what to do with. I want to write all day. I want to speak to women about how Christ has impacted me. I want to point them to hope. I'm not sure how to fulfill it. And it kind of eats at me. Do you know that feeling? You want to do something but you can't seem to make it happen? What I'm left with is obedience. Jesus tells a parable about two workers. Their boss entrusted them both with a bit of money. One hid his money so that he wouldn't lose it. The other put his money to work so he could return the money plus some to his boss. I want to be that second dude. So, I get up every morning and I write. I read and I study. I pray. I listen. I try to be obedient. 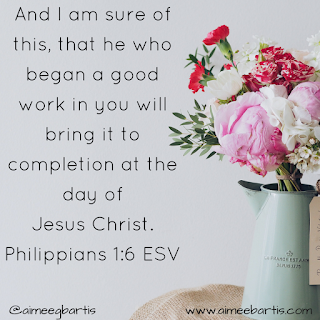 And I hope because I know He who began a good work in me will be faithful to complete it. I want to know about your dreams. What has God pressed into your heart?